If you are like me and cannot make it to Munich for Oktoberfest, do not fret, there are many options much closer to home. Be it at breweries, restaurants or bars, you cannot shake a stick without finding some sort of local Oktoberfest event to head to. Here is a look at several local options. Olde Magoun’s Saloon in Somerville (a personal favorite), is once again holding its nearly two-month-long Oktoberfest celebration. It begins on Sept. 6 at 5:00 p.m. at its 518 Medford Street, pub with the ceremonial tapping of the Paulaner Weisn keg. Every Wednesday in September and October there will be a German-centric food menu, and on Sundays they’ll have a special “German Roast.” On Sept. 30, they will host an all-day German celebration, with German food available all day, German music and, of course, beer. Throughout the two months, there will be 10 rotating draft lines of German Oktoberfest beers. They will include Weihenstephaner Festbier, Ayinger Oktober Fest-Marzen, Traunstein Festbier, Benediktiner Oktoberfest and Wuzburger Oktoberfest. I have been to Olde Magoun’s for several of their German-inspired events and they do it right. Highly recommended. A little further away, but worth the trip, is the Smuttynose Brewing Company Smuttoberfest, held at its 105 Towle Farm Road, Hampton, New Hampshire Brewery on Oct. 21 from 1:00 p.m. to 6:00 p.m.
Smuttoberfest is one of the most laid back beer events you’ll find in New England. Good Smuttynose beer, good food, mellow crowds without tons of lines, it is one of the most fun fall days you will have. Tickets are $15 in advance and $20 at the door. The entry fee will get you a great Smuttynose mug as well as your first beer. Tickets are available here. 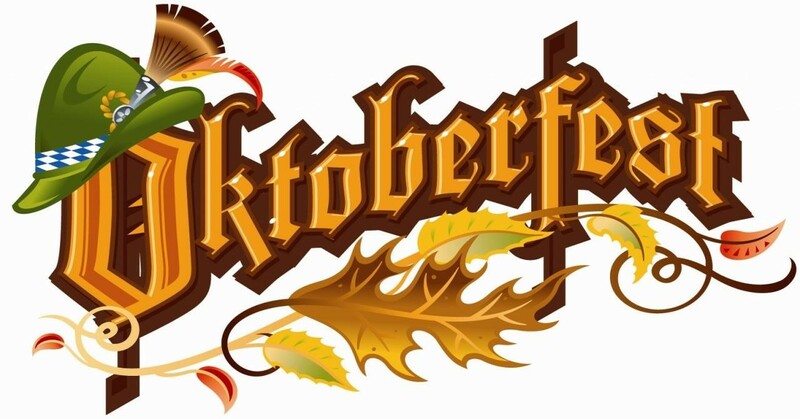 Jack’s Abby Craft Lagers of Framingham will once again host its official Oktoberfest party at State Park, 1 Kendall Square, Building 300, Cambridge, on Sept. 19 from 6:00 p.m. to 11:00 p.m. Along with the Jack’s Abby crew wearing lederhosen and copious amounts of Jack’s Abby’s Copper Legend, its version of an Oktoberfest, there will be a stein hoisting competition, a sausage toss and an oomphah band. Entry is free and you just pay as you go. Samuel Adams is hosting a series of Octoberfest celebrations around the country this year. The Boston version will be held at the Seaport World Trade Center, 200 Seaport Boulevard, Boston, on Oct. 27 from 4:00 p.m. to 7:00 p.m. at the World Trade Center’s Concourse (that means outdoors). The event will feature stein hoisting competitions, a hops slide, a photo booth and several other games and competitions, as well as beer and food. There will also be live music, featuring the Mighty Mighty Bosstones, Kongos and City of the Sun. Tickets are $45 and are available by going here. Other Oktoberfest parties worth going to, but mentioned in more details in past columns, include the Notch & Karl’s Sausage Oktoberfest, scheduled for Sept. 17 at Notch’s Salem brewery. Tickets are $25, For tickets and more details, please go here. Night Shift Brewing Company will host its Oktoberfest 2017 on Sept. 16 at its Everett brewery from 11:00 a.m. to 11:00 p.m. For more details, please go here.